will treasure for years. 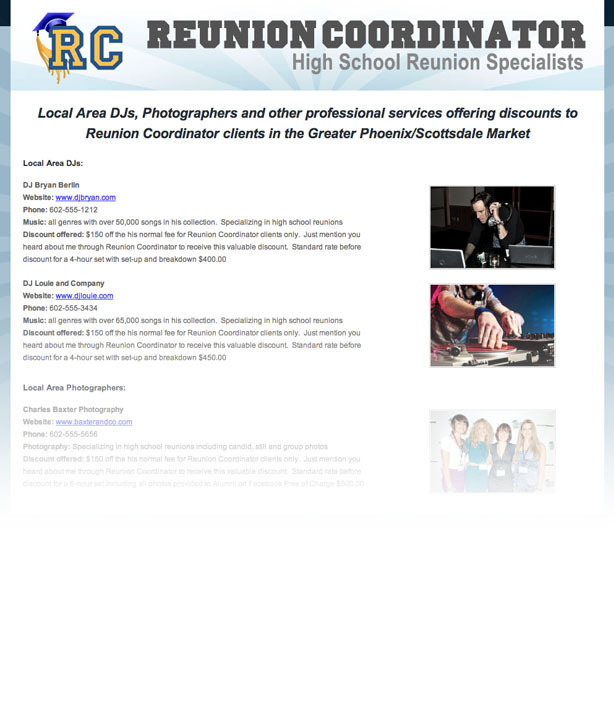 Reunion Coordinator will help you in the selection process of these vital components of your reunion. We contract only the best Disc Jockey and photographers in the area, at a price-point lower than committee members can find on their own.